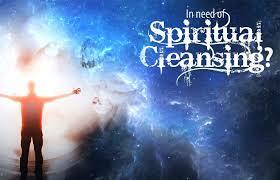 Spiritual House Clearing - What is it and when do I need it? We have all walked into a home or office and felt uncomfortable. ​Real Estate House Cleansing and other Earth-Based Energy Work. we must consider them all. Emotional imprints in a building are most commonly felt in it's energy, and through definite changes in our feelings as we pass from room to room. Though we rarely stop to think upon it, we encounter subtle changes of this nature between different rooms in practically every house we enter, but it is only in circumstances where such feelings are dramatic and overwhelming, that corrective action to disperse them is necessary. Geomancy is the practice of techniques, ancient and modern, that effect change in the environment of our home, workplace and self. Geomancy is practical magic. It is the study of how to insure the healthy circulation of energy throughout these environments in order to increase our vitality and health, improve our mental attitude, stimulate creativity and productivity, improve our relationships and gain clarity and insight. The most effective way to use EnergyShifting is to know exactly what you want to accomplish, to be clear about your intentions. You can use these ancient arts and sciences to their maximum benefits through the power of intention. Where intention goes - energy flows.Spiritual House Cleansing is the technique of taking disruptive energies and transforming them into energies that are healing and helpful. To accomplish this I employ a variety of practices determined by the type of disturbance or obstacle presented. Shamanic Techniques are basic to virtually every culture and work with the spirits of the land and the elements. I sometimes find that a Soul Retrieval is necessary for a client who has suffered stress, abuse, injury or other traumatic events. Geopathic Stress is a condition that reflects pathogenic forces in the earth surrounding a home and can be relieved by working with the Earth Energies in techniques which act in a similar fashion to acupuncture, literally placing stones or triskels in the earth in Sacred Geometric patterns to realign the earth energy. Often I encounter problems with man made energies that are pathogenic, such as radiation or Electromagnetic Force (EMF). These may be cleared with the use of simple devices that transmute or redirect the energy. Clearing Ghosts is often required. Ghosts are far more common than you may imagine and far less fearsome than we have been lead to believe. Above all, it is important to learn to trust your instincts and intuition and be clear about your intentions. 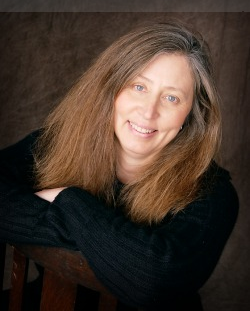 The most important aspect of my Geomancy practice is the teaching that I bring to each client. While many of the techniques may be described as coming from the Mystery Schools, I believe it is vital to give power and understanding to each individual in order that we all become skilled in working with energy. The energies that effect us do not necessarily have to be our own or even directed toward us. This is why we need to take care and be aware of the feeling of a space when we step into it. It is important that you make an effort to understand the energy of the people who have been there before you. This is a very important and crucial piece of information to have for our health, well-being and happiness. For if the people who lived in the home before you went through a difficult and quarrelsome divorce; the next couple to take the home may unexplainably find themselves, bickering and disagreeing, perhaps even divorcing. If there was a serious illness in the space it is possible that an individual can take on the symptoms of the disease, not understanding why. Bankruptcy, depression, confusion and other emotional energies can also be transferred in this way. These energies can become Thought-forms and Etheric Patterns. It is important for our clients to realize that these conditions can be remedied by employing these ancient, but thoroughly relevant EnergyShifting techniques and that they are techniques that can be learned by everyone. 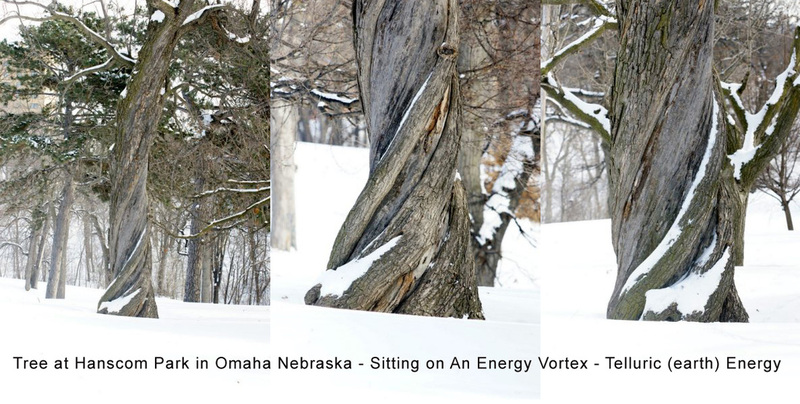 An example of a tree affected by an earth energy vortex. If this vortex were under your home it would make you feel sick, confused, anxious and sleepless. This is also known as geopathic stress. See our video on a vortex under a house. Trying to sell your home? Why not clear away any negative energies that may have settled in. Create a warm, welcoming feeling for prospective buyers! Getting ready to buy a new home? Often homes that are on the market have just been through tremendous turmoil, this negative energy can linger in the home and can be cleared away before you move in! Daily life can sometimes fill a home with negative energies that can make us irritable and can even cause families to quarrel. Free your home from these energies and enjoy Home Life as it should be! Often our place of business bears witness to a lot of stress and frustration, this negativity can stick around long after the days work is done, waiting to greet you and your customers first thing in the morning. Regular clearings of energy can bring harmony to the office and make for a much more productive environment. Ceremonies can be customized for any occasion large or small, individual or group.